SweetWater Thurs+Dogfish Head Fri+Somrus Sat+Weekend Wines! Beer Thursday with SweetWater Brewing Co.! This Thursday afternoon, we will be tasting new beers from Atlanta's SweetWater Brewing Co.! Special Thursday Tasting with Broken Shed Vodka! This Thursday afternoon, we will have Raymond Hermosa, Broken Shed Vodka's Nashville Market manager, in the store to let you sample their Vodka! Stop in between 4 & 7 pm and give this smooth Vodka a try! This weekend, we are getting a head start & featuring Easter wines! Kevin & Sammy have chosen these specifically to go with your Easter lunch and/or dinner. Come on in, taste, and stock up for the holiday! Aromas of stone fruits and white flowers. The gentle frizzante carries high acidity and notes of ripe pear and lime juice across your palate, finishing with a hint of salty sea spray and limestone minerality. For this Bubbly Dry, we start with a very dry Riesling, cool it down near freezing, then add carbon dioxide. Crisp, refreshing, and exploding with ripe flavors of peaches, apples, and apricots, it's a deliciously dry bubbly that will be sure to delight the palate! Bright light ruby color. Perfumed, fruity aromas and flavors of candied strawberries, juicy apple, and peach blossom with a round, crisp, spritzy, fruity sweet light-to-medium body and a compelling, medium-length finish conveying accents of ripe red apples with fine, fruit, cottony tannins. A wild idea for the wild at heart, enjoy our latest seasonal offering, the Riesling Radler. Crafted for the summertime adventures and summer wine lovers. The combination of crisp grapefruit, sweet Riesling, heady hops, and smooth malt make the Union Wine Underwood Riesling Radler the perfect summer refreshment. 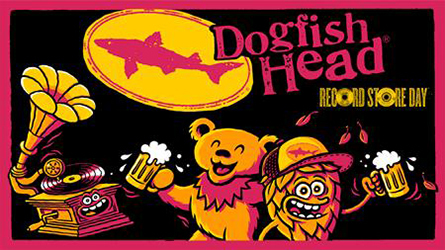 Dogfish Head Tasting this Friday! This Friday, in honor of Record Store Day weekend, we will have Kaitlin from Dogfish Head in the store to let you sample their amazing beers. We will also have a DFH Vinyl Record Player we're raffling off so come put your name in the boot! Ever since the summer of 1995, we have been brewing, cooking, selling and talking everything beer. It's our pastime, our passion, our life. 22 years later, we’re just as dedicated to bringing off-centered goodness to off-centered people through our beer. 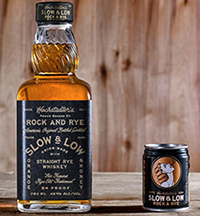 This Friday, we will have the folks from Hochstadter's in the store to let you sample their Slow & Low, Rock and Rye Whiskey. Come on in and have a taste from 4-7p! This Saturday, we will have the folks from Somrus in the store to let you taste their delicious Original Indian Cream Liqueur! SomruS, meaning "Nectar of Gods," has references dating to 2600 BC as a divine beverage for the Gods and is purported to have had the power to prevent the human body from degeneration. Although SomPriya has not cracked the code of immortality, the company's modern interpretation is created using an intricate blend of eastern spices, nuts and cream to produce an authentic liquescent taste of the Indian subcontinent. Using proprietary techniques, SomPriya artfully blends pure dairy cream and hand-crafted Caribbean rum with the luscious flavors of cardamom, saffron, almonds, pistachios and rose to create the 21st century 'incarnation' of SomruS – The Original Indian Cream Liqueur. 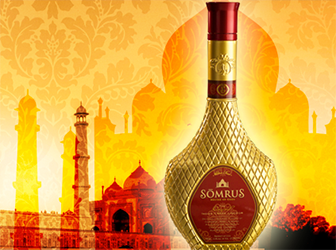 Meant to be enjoyed on its own, mixed in a cocktail, baked in a sweet dessert or added to a cup of chai, SomruS reinvents the taste, tranquility and euphoria of drinking the mythical elixir of gods. A gold coated and UV protected, custom-made glass bottle draws inspiration from an ancient Indian decanter creating appealing nostalgia and setting it apart from anything else on the shelf. Come on in and give it a try! They will be sampling from 2-6p. As part of a new series we are doing on our Instagram page, Kevin & Sammy are featuring a different wine each week to showcase & keep in our wine dispenser behind the tasting bar so you can taste it! Not only that, but you get 10% off that wine all week long! This wine is a blend of Grenache Noir, Syrah, and Carignan. 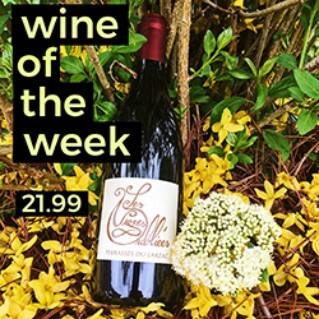 The complexity, vibrancy, and pure pleasure of this gorgeous blend will transport you instantly to a wild, garrigue-strewn hillside deep in the south of France. Experience a new category of drink – Drinking Botanicals. 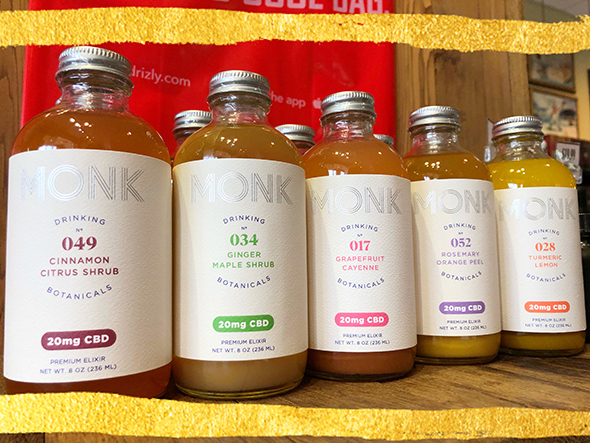 Fresh citrus infused with CBD and bottled into adult drinking experiences. Bringing you flavors that snap you out of the mundane and into the present moment. Celebrate a new ritual. Drinking Botanicals are combinations of fresh-pressed juices, herbs, and CBD designed to relax, restore, and revitalize mind and body. All of our ingredients come from carefully-vetted California suppliers located within a 250 mile radius of us, with the exception of our certified organic maple that we source directly from a farm in Vermont, and our certified organic raw apple cider vinegar and certified organic raw blue agave. While you are busy appreciating the complexity of our flavors, you may start to notice that you feel a little lighter. Just a little less stressed. Drinking MONK feels like kicking your socks off after a crazy busy day.